beginning students, ages 3.5 - 7 years of age. Parents are involved in the musical learning of their child. They attend lessons with the child and serve as “home teachers” during the week. 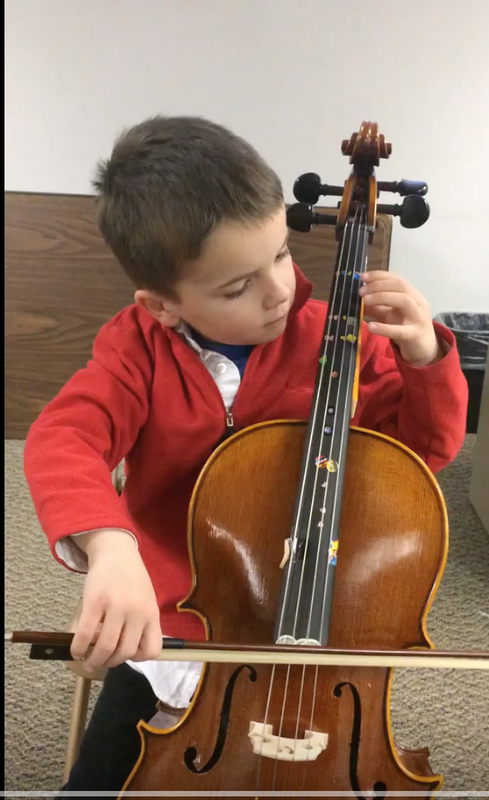 Regardless if a parent is able to play an instrument, I will train them to copy my teaching points verbally, so that s/he understands what the child is expected to do. Parents work with the teacher to create an enjoyable learning environment by aidingtheir child in all points taught by me. The early years are crucial for developing mental processes and muscle coordination. Listening to music should begin at the same time lessons commence or before; formal training may begin from age 3.5 onward. 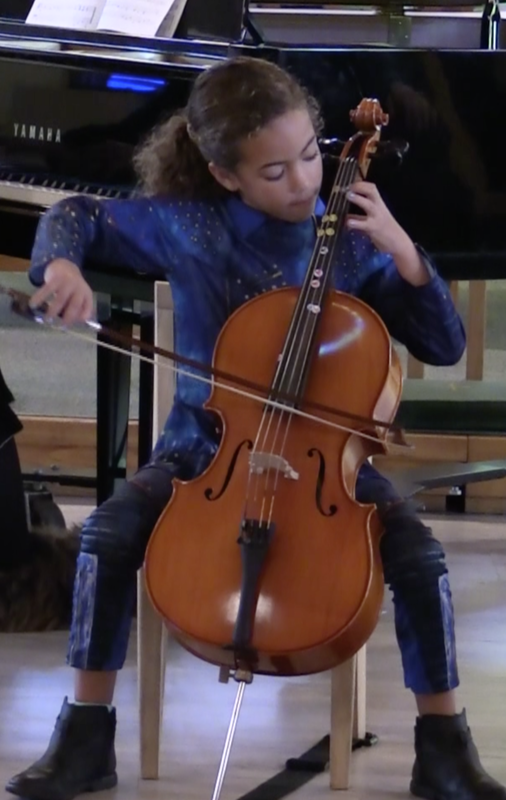 Jonah L, 8, won 2nd place in the American Protege Competition 2016. He shared a recital in Carnegie Hall with other prize winners. Listening to music every day is important, especially listening to pieces in the repertoire books so that a student can make the hands recreate what they have heard and can sing. 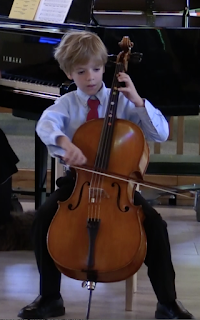 Constant repetition is essential in learning to play an instrument. Repeating each note, or group of notes as well as the innumerable technical points of the selected level-appropriate repertoire will reinforce one's level, and gradually allow it to be played in new and more sophisticated levels. 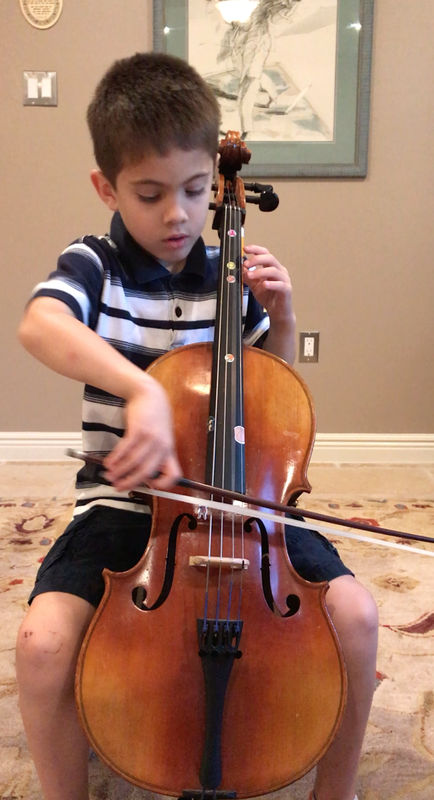 A child’s effort to learn an instrument should be met with sincere praise and encouragement. Each child learns at his/her own rate, building on small steps so that each one can be mastered. Children are also encouraged to support each other’s efforts, fostering an attitude of generosity and cooperation. In addition to private lessons, children participate in regular group lessons and performance where they learn from and are motivated by each other. 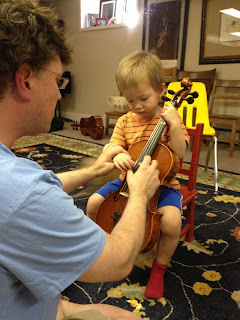 My group classes are designed to more of a chamber music experience. 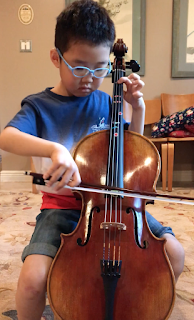 The best way to learn ensemble experience is to learn one's own part and hear how it blends and conjoins to another musical part with different rhythms and melodies. 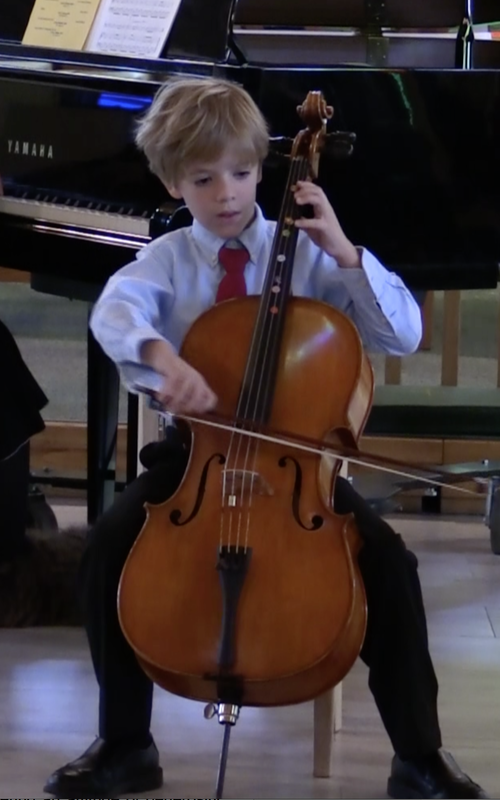 Please visit the Cello Choir Performances Page, to listen to the concert performances of hard work developed in group lessons. 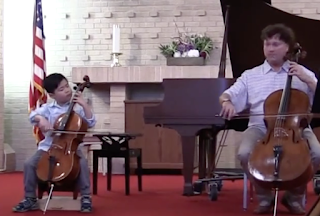 Kaboff-Suzuki repertoire are designed to present technical levels through the context of the music rather than through dry technical exercises.